There are numerous churches in Zimbabwe and there is also freedom of worship in this country where anybody is allowed to pray and fellowship at a church of his or her own choice but what we urge all churches to do is to fear God at the same time respecting the statutes of this country. A top government official said while addressing over 2 000 Vapostori at the Johane Masowe Yechishanu Lusaka Sectâ€™s conference on Saturday. â€œWe want the church to be exemplary as it plays a pivotal role of chastising those who do not know what is right. It is also the duty of the church to preach the word to the lost sheep so that crime rate declines in the nation. â€œThe fear of God restrains us when we are about to do bad things and because of that we respect the church and we respect God who is our maker. â€œAs the government we respect all churches knowing that you play a key role of interceding not only for one another at your various places of worship but for the nation as a whole. We cannot do without you and we encourage you to continue including us in your prayers,â€ he said. Speaking on the side-lines of the conference Madzibaba Spenlodge who is the leader of Johane Masowe Yechishanu Lusaka Sect said it is a good thing when top government official take their time to mingle and fellowship with various churches across the nation. â€œWe really feel great as Vapostori especially when top government officials take time to fellowship with us, it shows us that the role we play of praying for our country is recognised by the government and that there is unity between us and the leaders of this country. â€œThere is freedom of worship in Zimbabwe and we applaud what the government has done to allow us to worship where we want. 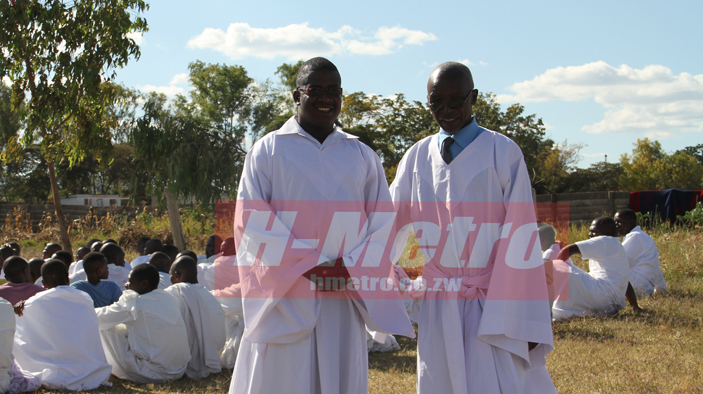 As Vapostori we really feel honoured to have leaders who value us as the church,â€ he said. â€œTo all churches I say let us embrace the opportunity we have been granted by the government to worship where we want and continue to teach the masses on how to be responsible Zimbabweans. â€œSevanamati hatina chatinotya tikaomerwa tinopfugama tonamata kunaMwari kuti vatiyambutse, kunyangwe vana veIsiraeri pavaifamba kuenda kuCanaan vakasangana nemiedzo mizhinji asi nokuda kwemunamato vakakunda zvose.